What does every really good book have? Interesting characters, a great plot, and a story line that keeps you turning pages, even though it is long past your bedtime. Irene Hannon has hit all three with her new series, Men of Valor. Book One of the series, Buried Secrets, has three “bad guys” and three brothers, and two very dedicated law enforcement personnel. In our story, three college-age people have a serious problem. A friend has died in an unusual way, and they are not sure how to explain what happened to her without destroying the career plans of each of them. In a panic, they must decide what to do with her body. After all, she has few friends and her parents live in Europe, so they will not be able to come to America to discover what has happened to their daughter. After all, they each have the rest of their lives to live, and if anyone is to find out what happened, their career plans will be over. She must simply disappear, and their reputations and plans for the future will be safe. Burying her in a remote area will solve all their problems, right? True, for 24 years, but now - as in every evil deed - there is a consequence. Her body has been found! Two very dedicated detectives are on the hunt for who she is and how she got buried. If that doesn't grab your attention, I do not know what will. The first book in Irene Hannon’s new series, Men of Valor, is a keeper. You will follow along as Mac and Lisa race to figure out “who dun it” before they themselves become the killer’s next victims. 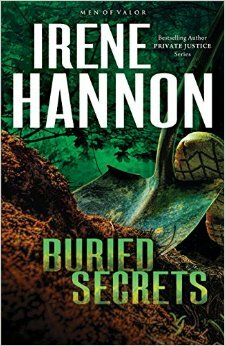 Buried Secrets is a book you will not want to miss. Oh yes, coming soon is Book Two in the series featuring Mac’s brother, Lance. I, for one, can hardly wait! Irene Hannon is a bestselling, award-winning author who took the publishing world by storm at the tender age of 10 with a sparkling piece of fiction that received national attention. Okay…maybe that’s a slight exaggeration. But she was one of the honorees in a complete-the-story contest conducted by a national children’s magazine. And she likes to think of that as her “official” fiction-writing debut! Since then, she has written more than 45 romance and romantic suspense novels. Her books have been honored with two RITA awards—the “Oscar” of romantic fiction—and she is a six-time finalist. 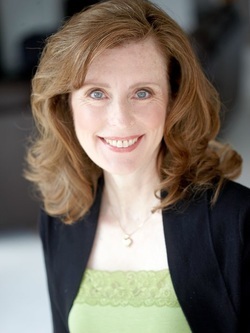 Her books have also won a Daphne du Maurier award, a Carol award, three HOLT Medallions, a National Readers’ Choice Award, a Retailers Choice Award, a Booksellers’ Best Award and two Reviewers’ Choice awards from RT Book Reviews magazine. One of her novels was also named by Booklist as a top 10 inspirational fiction books of 2011. In addition, she is a two-time Christy award finalist. Irene, who holds a B.A. in psychology and an M.A. in journalism, juggled two careers for many years until she gave up her executive corporate communications position with a Fortune 500 company to write full-time. She is happy to say she has no regrets! In her spare time, she enjoys cooking, gardening and singing. A trained vocalist, she has sung the leading role in numerous musicals, including “South Pacific,” “Brigadoon,” “Oklahoma” “The King and I” and “Anything Goes.” She is also a soloist at her church. When not otherwise occupied, Irene and her husband enjoy traveling, Saturday mornings at their favorite coffee shop and spending time with family. They make their home in Missouri.